At Elevate we believe yoga should be a part of everyones life. 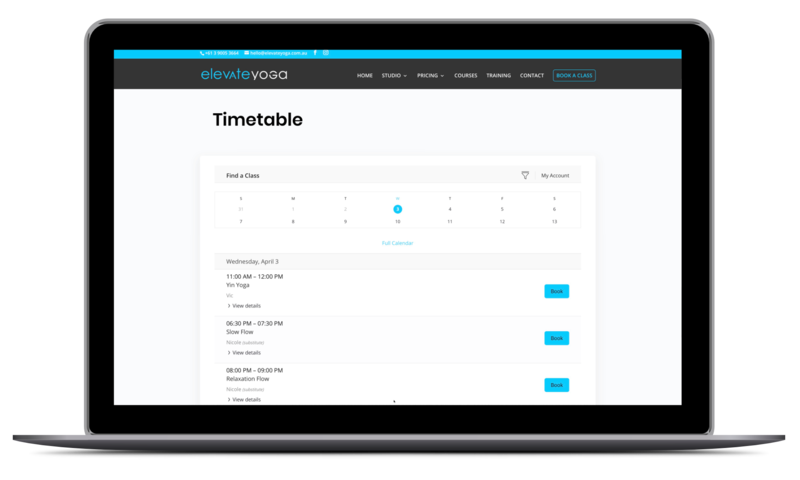 We want to make it easy to fit our classes into your busy schedule. Our website allows you to view and book classes directly from your mobile or online. Once you are registered its easy to book in via your mobile to save you time. You can move from the studio door to mat quickly and effortlessly; no lengthy check-in, no money exchange, no forms to complete. All class pass types include complimentary use of our Manduka PROlite Mats; all props; and coconut husk filtered water (Yum). NB: This offer is valid for new clients only and with an expiry date of 1 month. The committed Yogi enjoys the best results from Yoga. If you practice more then 2 times a week, then our monthly membership is the best value option. $145 per month – Direct Debit – unlimited Classes. $35 per week – Direct Debit – unlimited Classes. We process payments online via Ezidebit, a merchant credit card processing company in Australia. We use a secure payment connection to ezidebit to process online payments and do not store credit card information directly.